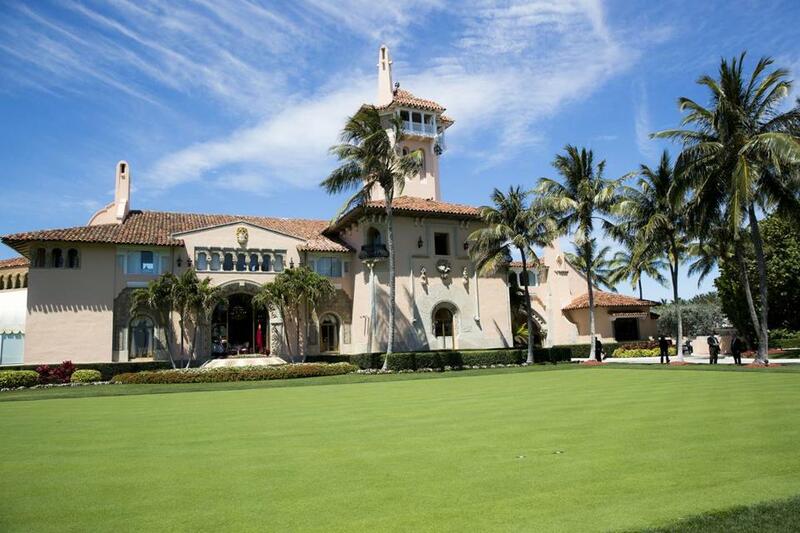 President Donald Trump&apos;s Mar-a-Lago resort in Palm Beach, Fla.
WEST PALM BEACH, Fla. (AP) — A federal judge denied bail Monday for a Chinese woman charged with lying to illegally enter President Donald Trump’s Mar-a-Lago club, saying there was an ‘‘extreme risk of flight’’ if she were released. Federal Magistrate Judge William Matthewman issued the ruling for 33-year-old Yujing Zhang, who was indicted Friday on charges of lying to federal agent and illegal entering of a restricted area. She faces up to five years if convicted. When arrested, Zhang was carrying two passports, four cellphones, a laptop, an external hard drive and a thumb drive possibly containing malware. In her hotel room, Secret Service agents found a device for detecting hidden cameras and $8,000 cash. She is not charged with espionage, but the FBI is still investigating, and prosecutor Rolando Garcia said future charges are possible. He did not elaborate. Matthewman remarked that ‘‘it appears to the court that Ms. Zhang was up to something nefarious’’ — a reference to the various electronics she was found to be carrying and that she left in her hotel room. The U.S. doesn’t have an extradition treaty with China. Even if Matthewman had decided to grant bail, immigration officials would most likely have detained Zhang because her U.S. visa has expired.